4 Homesteaders that Will Inspire You | Hurdle Land and Realty Inc.
Take a moment to consider your life on this big green and blue ball we call home. If you live in the city, stop and take a deep breath. Does it smell fresh? Does the air smell clean? Is it impossible to find even a second of peaceful quiet? Have you ever thought about lessening your dependency on others and maximizing the benefits to be reaped by living off the land? The best way to get in touch and stay in touch with nature is to live the life of a homesteader. This lifestyle isn’t for everyone, but we’ve put together a list of some inspiring homesteaders that should make it easier to decide if it’s right for you. A good way to start is by looking for one that created a homestead borne of their own inspiration. After growing up eating the organically delicious canned goods and honey created out of the love and experience of her grandparents, Jenny decided to learn a new homesteading skill every year as an adult. Even when she felt as though she had no clue what she was doing, she put forth the effort and turned her spot in the New York suburbs into a half acre of homestead heaven. Sometimes, inspiration comes in the form of a funny story about how everything that could go wrong, went wrong, and yet still came out good in the end. Sometimes a relatable negative experience can inspire more than a sugar coated account that portrays the life of a homesteader as easy and perfect. It’s not always easy and perfect, but that’s what make the end result so much more satisfying. The Easy Homestead promises the good, bad, and everything in between for the life of a homesteader which will give you a clear insight into what your homesteading life could be like. This isn’t the olden days of horse drawn carriages, washboards, and no electricity. As such, combining both the mindset of yesteryear with the busy lifestyle of today is how the modern homestead came to be. Take inspiration from their ability to pay off $60,000 in just three years, live a frugal life without sacrificing comfort, and see how homesteading in a modern world can take years off your life and tons of stress off your shoulders. One of the biggest benefits of rural life is the freedom that comes from getting “off the grid”, so to speak. The whole goal of homesteading is self-sufficiency and truly living off the grid takes a little bit more effort. With musings about building her own log cabin with the tools nature has made available, information about her solar and hydro electricity setup, and valuable information about identifying and using wild plants, Judy of the Woods is an exceptional example of “Self-reliance in the 21st Century”. If the city life is losing its appeal and you’re tired of making monthly payments on a too big house on a too small lot, there is hope in homesteading! There are plenty of plots of land for sale that would be perfect for you and your family to build your own home together. With the many different owner financed land plots for sale around Georgia, your homesteading dream is closer than you may think. 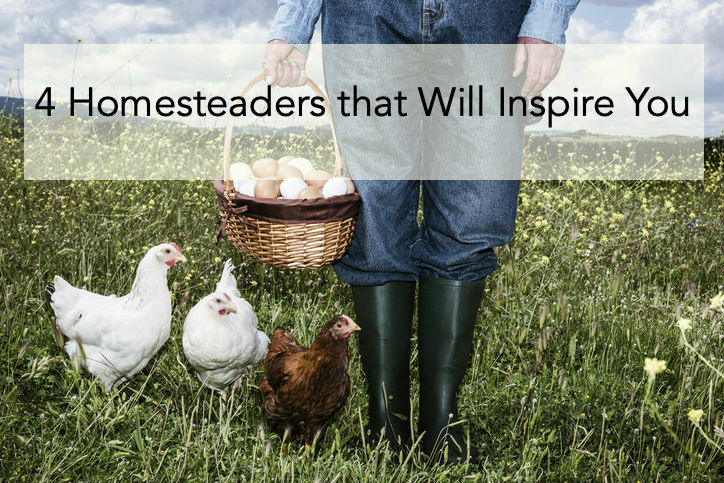 Check out some of these inspiring homesteaders and once you’ve decided it’s the life for you, give us a call and we’ll help you find the homestead heaven that’s perfect for you!